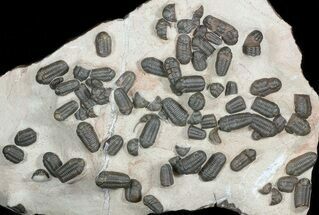 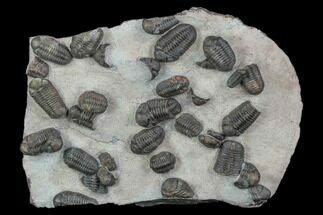 This is a really cool association of three well prepared Phacops araw trilobites quarried near Mrakib, Morocco. 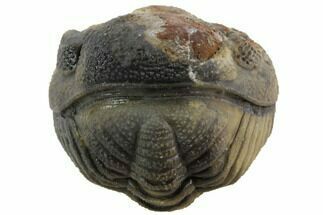 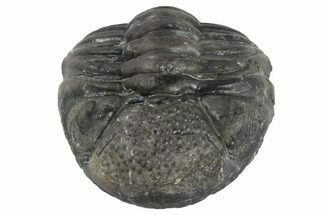 Phacops araw is one of the more uncommon phacopid species from Morocco and has a distinctively shaped glabella. 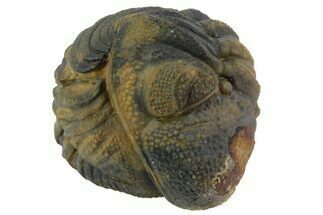 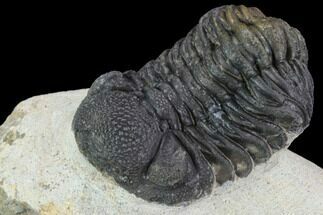 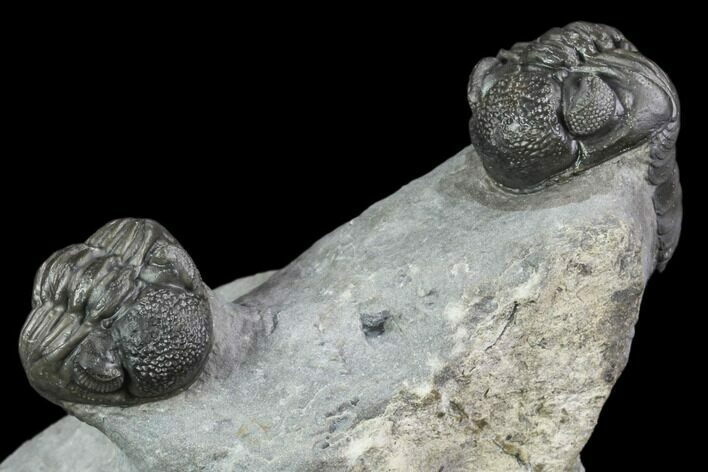 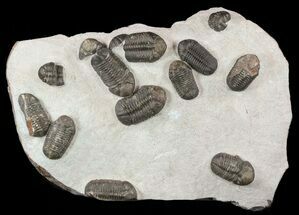 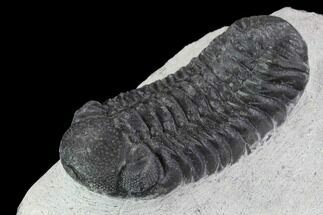 The largest trilobite would be about 2" long if outstretched. 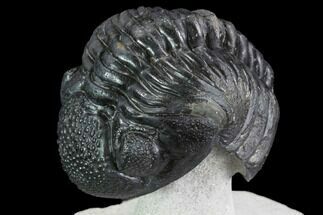 The piece has been wonderfully prepared and the base of the rock cut flat so that it stands up nicely without the need for a display stand.